When you purchase a new space heater you want it to last for as long as possible right? If you let a lot of dust and other nasty particles build up in your space heater then it can become less effective and even break down completely. Modern space heaters tend to have a lot of intricate parts and if you let dust gum up the works then you may have trouble ahead. With some of the best space heaters costing upwards of $200 it just makes sense to take care of them. So we have 10 ways that you can keep your space heater clean in this article. These all make sense and we urge you to follow these methods. If you know that you will use your space heater in a particularly dusty environment such as a garage or a basement then you might want to consider a sealed oil filled heater if this meets with your heating requirements. Any room in your home is susceptible to dust so it makes sense to give your space heater a dusting on a regular basis. We recommend using a feather duster for this and to perform the dusting task at least weekly. It is important that you do not let dust build up on and in your space heater. If your space heater is in use then unplug it and wait for it to cool down completely before you dust it. You will be surprised just how much a weekly dusting will help to keep your space heater clean. If your space heater has a grille or a vent then you can use your vacuum cleaner with a brush attachment to clean it. This is very important as the grille or vent provides airflow. If you let your grilles and vents clog up too much you can run into some serious problems. Space heaters with fans usually suffer more with clogged vents and grilles than other types of heaters. 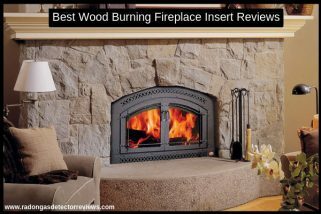 So if your space heater has a fan then pay particular attention to vacuuming those air vents. Space heaters used in homes where families reside usually end up with sticky finger marks on them or other problems such as food spills. Usually, these occur on the outside of space heaters. It is important that you remove these marks as soon as possible. You do not want the dried particles of a food spill getting into the internals of your space heater. Just use a damp cloth here. Make sure that you wring it out properly and you can add a little dishwashing liquid for extra cleaning power. Never add cleaning liquids directly to your space heater. Always apply with a cloth. You do not want any moisture getting inside as this can stop the heater working altogether. Always ensure that you dry the outer casing of your space heater after removing any grime spots. This may seem obvious but a lot of people never bother to read the instructions that come with their space heater. A lot of modernly sophisticated space heaters have special filters that you can remove and clean outside of the housing. In some cases, your space heater may flash a warning light when it is time to clean the filter. You can use a brush or your vacuum cleaner here. Be careful not to damage the filter when you are cleaning it. 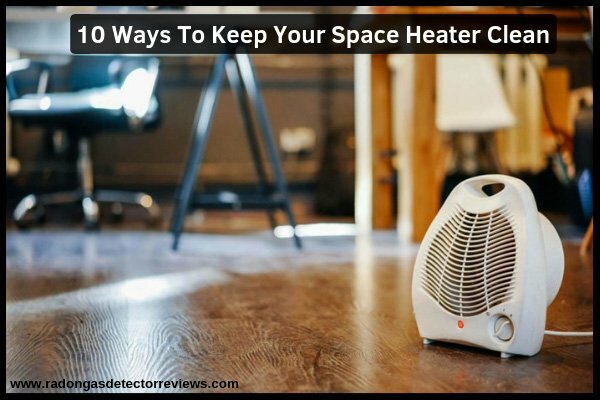 A lot of space heaters are lightweight and compact and you can move them around easily. So before you move your space heater give it a good clean. Be sure to unplug the heater and make sure that it is cool first. Get rid of all of the surface dirt on your space heater. You can do this with your vacuum cleaner and a brush attachment. For more persistent dirt use a damp cloth and some dishwashing liquid. If there are crevices on your space heater that need cleaning then your brush attachment may not be able to do this. You will probably need to use a smaller attachment to get into the crevices. Take a kitchen spatula and wrap a paper towel around the broadest end. Use a rubber band to keep this in place. Now you need to slide the spatula with the paper towel against each tube in your space heater using an up and down movement. If you find that your space heater tubes have tougher stains then you can use an all-purpose cleaner and spray some of this onto the paper towel part of your spatula. Try it again to see if this removes the stain. Most radiant heaters have a shiny plate used to reflect the generated heat. If this becomes dusty it loses its reflective properties and your space heater becomes less efficient. You will need to remove the reflector plate from your radiant heater to clean it. Usually, screws are used to hold reflectors in place. All you need to do is to give the reflector plate a light dusting so that it is shiny again. You do not want to damage the reflector so don’t apply too much pressure here. If there are stubborn stains then a damp soapy cloth is the best idea. You can even use methylated spirits for more cleaning power. Sometimes a feather duster or even your vacuum cleaner will not be enough to get rid of all of the dust that accumulates in your space heater. You can use compressed air to get into those hard to reach places and get all of the dust out. Compressed air cans are generally available in supermarkets and hardware stores. You do not need to hire a compressed air machine here. This is total overkill and you may cause damage because the air pressure will be too much. You do not have to use your space heater outside for rust to develop. Even internal rooms can attract corrosive moisture and rust can soon develop. A common place for rust is on a reflector plate. Wherever you see rust spots it is best to use some wire wool (make sure it is fine) and you can soak this in methylated spirits or even vegetable oil. If your reflector plate is rusty then you will need to remove it from your space heater first. Always make sure that you dry affected areas properly after removing the rust. Regular dusting of the reflector plate should prevent any rust developing. If your space heater uses a fuel such as gas then regular servicing is a must. You can even service your electric powered space heater. The manufacturer should be able to recommend service outlets. Ask your service agent to thoroughly clean your space heater.